KENNEDY SPACE CENTER, FL. 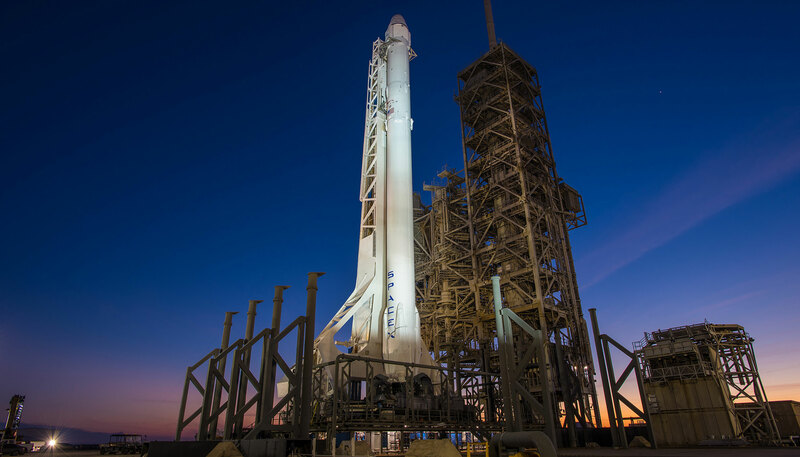 (August 8, 2017) – The SpaceX Falcon 9 vehicle is poised to launch its 12th cargo resupply mission (CRS-12) to the International Space Station (ISS) no earlier than August 13th, 2017 from Kennedy Space Center Launch Pad 39A. The SpaceX Dragon spacecraft will carry more than 20 ISS National Laboratory payloads to conduct research across a variety of areas aimed at improving life on Earth, including research on Parkinson’s disease, new anti-bacterial compounds, new approaches to treating blood pressure, and pioneering new advances in the use of stem cells for repairing damage from disease, among many others. Thus far in 2017, the ISS National Lab has sponsored more than 100 separate experiments that have reached the station. Crystallization of LRRK2 Under Microgravity Conditions (the ISS National Lab PCG 7) uses the microgravity environment onboard the ISS to grow larger versions of an important protein, LRRK2, implicated in Parkinson’s disease. Defining the structure of LRRK2 would help scientists better understand the pathology of Parkinson’s and aid in the development of therapies against this target. However, on Earth, gravity interferes with the growth of this protein, leading to the generation of crystals that are small and too compact to study. the ISS National Lab PCG 7 uses automated biotechnology devices in space to grow larger crystals of this protein, which are then returned to Earth for detailed laboratory analysis.